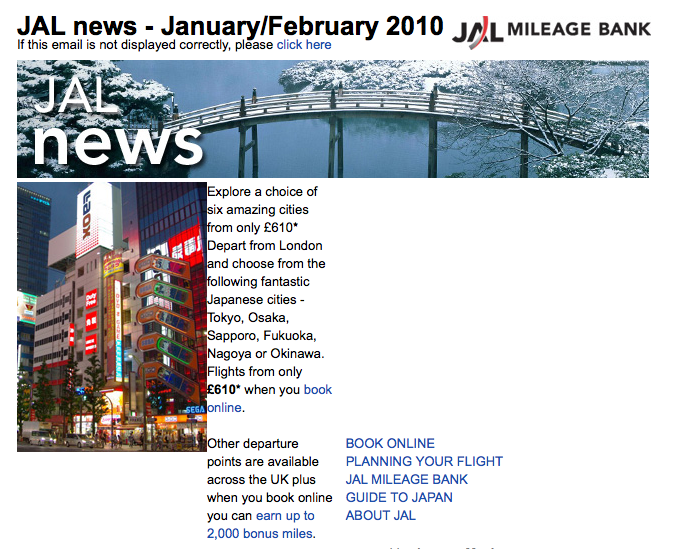 The electronic piece of direct mail (eDM) from JAL just landed in my in-box. JAL seems to have taken on the stoic mantra from WWII Britain: Keep Calm and Carry On. .. the poster campaign to keep Britain sane if the Nazi’s won. The eDM seems innocuous. Look for yourself. See below. 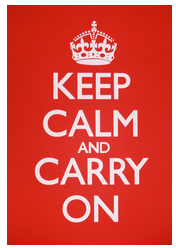 Maybe the “Keep Calm and Carry On” analogy is a bit ironic / tasteless. Or maybe the JAL news eDM is ridiculous on all sorts of levels. Including the obvious – they are going broke, there is much consumer confusion as to their futre, but they keep on as if nothing has happened. Talking of ridiculous, it’s a bit like Airbus suddenly changing all Ts&Cs on the sale of their military offering the Airbus 400. To the delight of Boeing, Tom Enders, the CEO of Airbus is now threatening to cancel the production of the planes as nobody wants to pay the revised price. No-one predicted that it’d take so many years to get off the ground. And when the French, British, German (et al) governments put in their orders, Lehman Bros still had a name of good standing. The world was a happier place. The aviation industry is in dire straights.